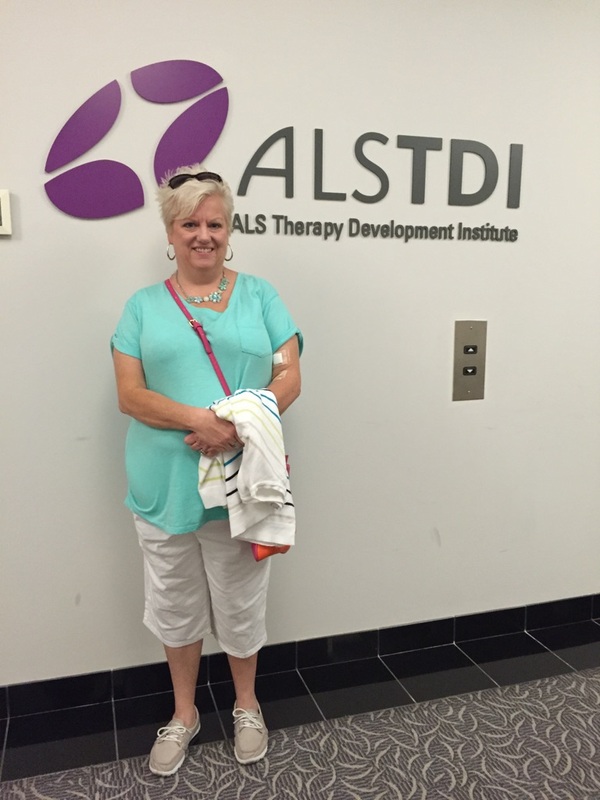 Today I was able to visit Boston’s ALS Therapy Development Institute with Terri. Wow. This non-profit research lab is absolutely amazing. It was started by a family who had a son with ALS in 1999. The lab is in Cambridge, home of MIT and Harvard. Terri was invited to participate in a clinical trial where she donated tissue and blood to be studied in an effort to come closer to a cure. Because of last year’s Ice Bucket Challenge, the ALS TDI received enough funding to expand the original research from 20 people to 300! Terri is patient number 120. It’s hard to believe that 30,000 Americans have ALS and there is still no cure. Just walking through the research lab and seeing all the efforts being made gave us hope that a cure is coming! Between this visit, and Terri’s many trips to the Mayo Clinic in Minnesota, there are moments of hope and inspiration sprinkled in between worry and fear. There are so many talented people working hard to find a cure. Take a moment to visit ww.ALS.net to read about how this non-profit agency is working hard to find a cure. I’m attaching a few photos from today’s visit. Of course all of Terri’s travel for this research study was paid for out of her own pocket. Same holds true for each of her visits to Mayo Clinic for the stem cell trial Terri is now in. Please share Terri’s story with others so we can bring more awareness to this horrible disease. Thank you for your continued support and prayers.